I go through phases where I become a little obsessed with certain things. Might be a certain type of wine, might be a TV show, might be a certain trend or two! 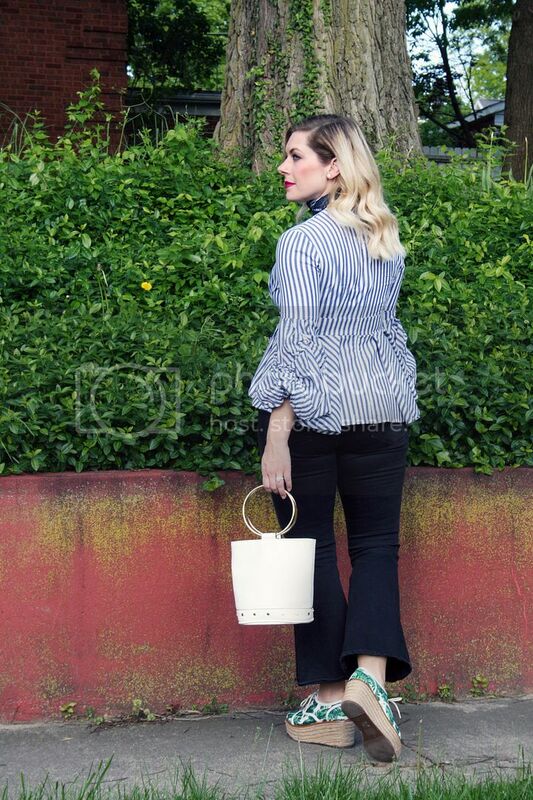 Right now, I am obsessed with cropped flares, palm print and stripes! 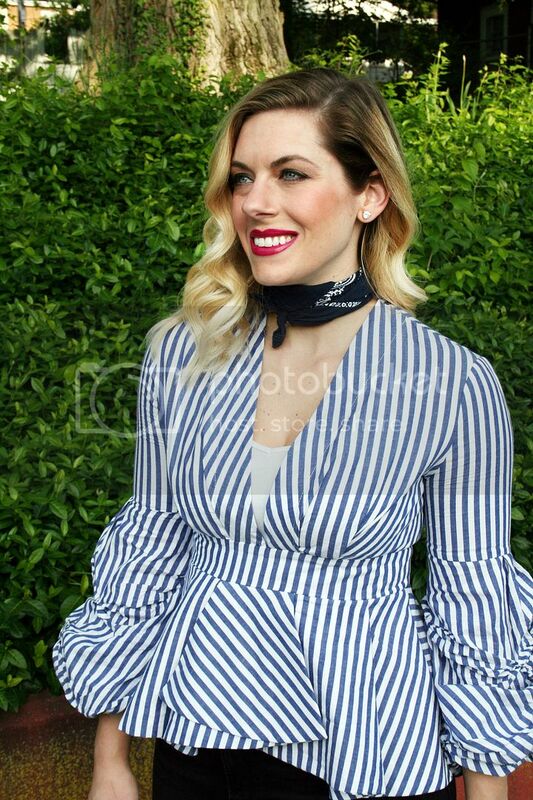 Just kidding, I'm always obsessed with stripes, but I digress. Let's talk about this top. This little gem is an almost exact replica of a MUCH more expensive designer version, for a fraction of the price. I don't know about you, but if I can get something for a fraction of the price, I am all in. Plus, the quality is superb. It's a nice heavy material that I can tell will hold up. 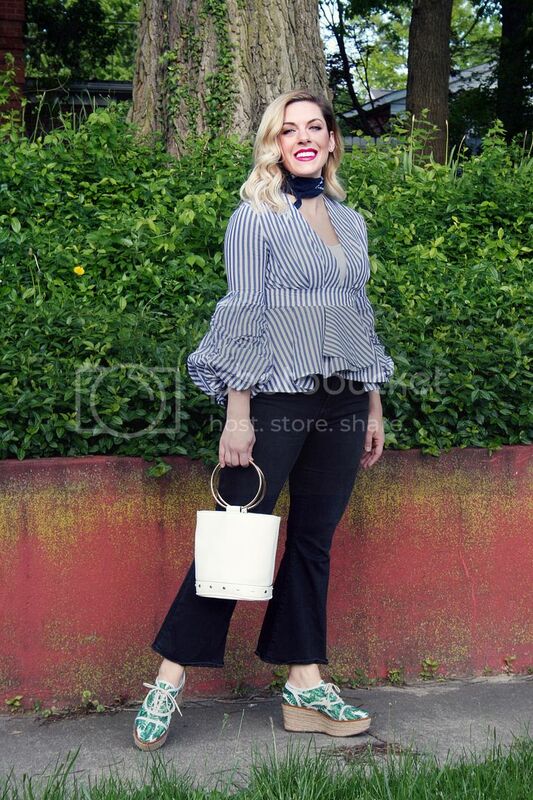 On to the next obsession, cropped flares! The more flared the better in my opinion. 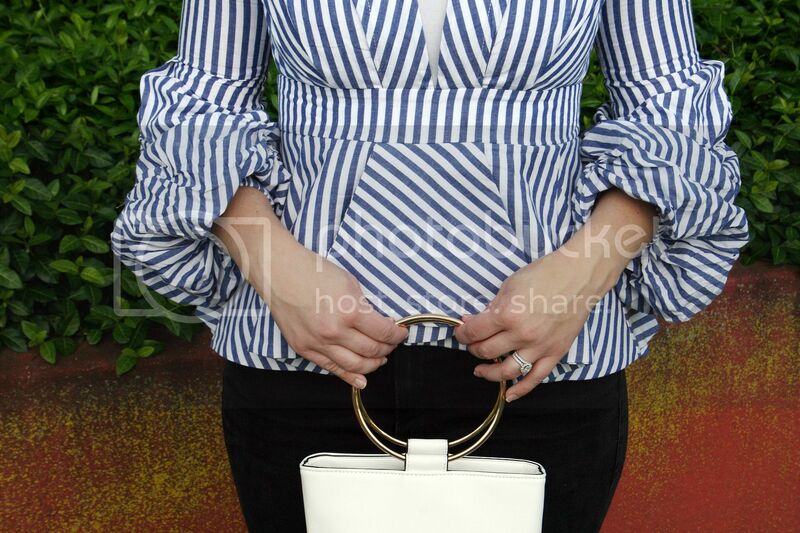 I picked these up during the recent Shopbop sale and I can't stop wearing them! They go perfectly with t-shirts and sandals just as much as nice tops and wedges. I know I will be wearing these all summer and into the fall! Last but certainly not least, I am SUPER obsessed with palm print right now. I might have a problem. I picked up these ah-mazing platforms during the Shopbop sale as well and I am so glad I did. They are my new favorite shoes. I have my eye on multiple palm print items, so stay tuned for those! How about you? What are you obsessed with right now?